Mason jars are wonderful! 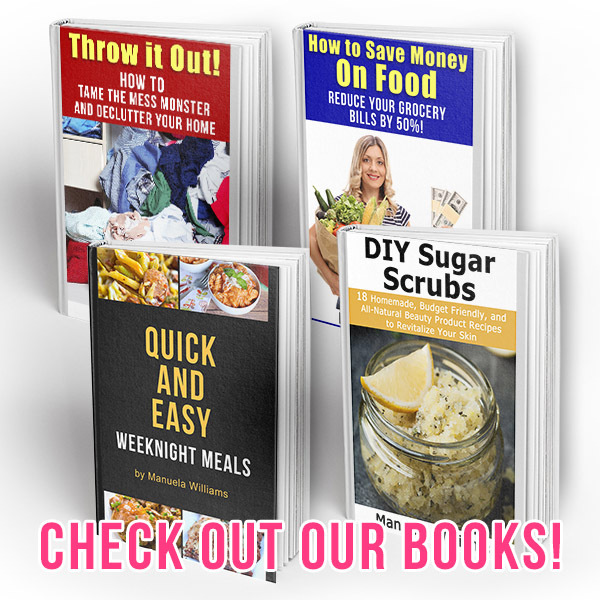 You can cook in them, make them into decor, and store things in them! 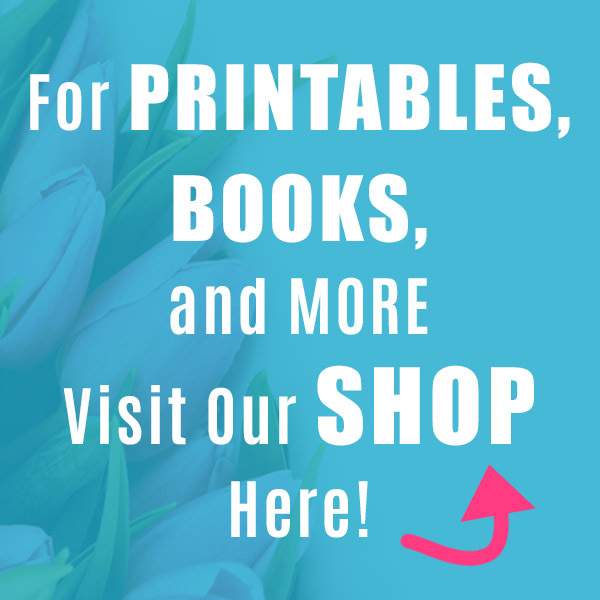 They’re one of the most versatile supplies out there! I particularly enjoy using them in organization, because they’re both useful and pretty. 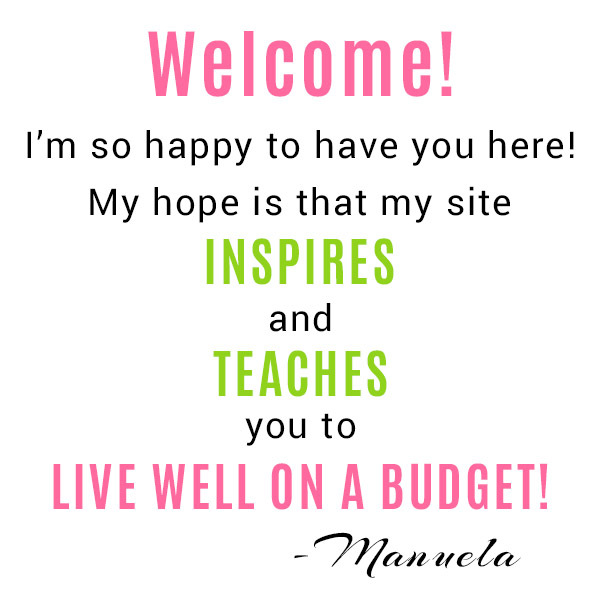 If you DIY them a bit, they can have even more uses, and can fit your personal style even better! If you’ve got some Mason jars and you’d like to organize your home, you have to check out these 10 Clever Mason Jar Organization Ideas! 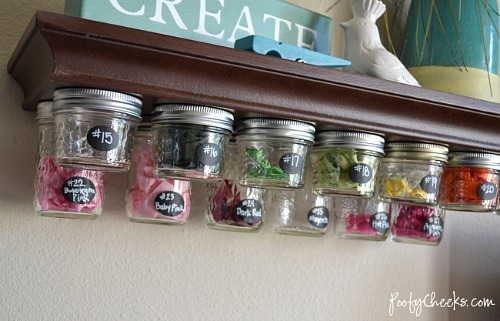 Isn’t this Mason jar organization idea so cute and clever? 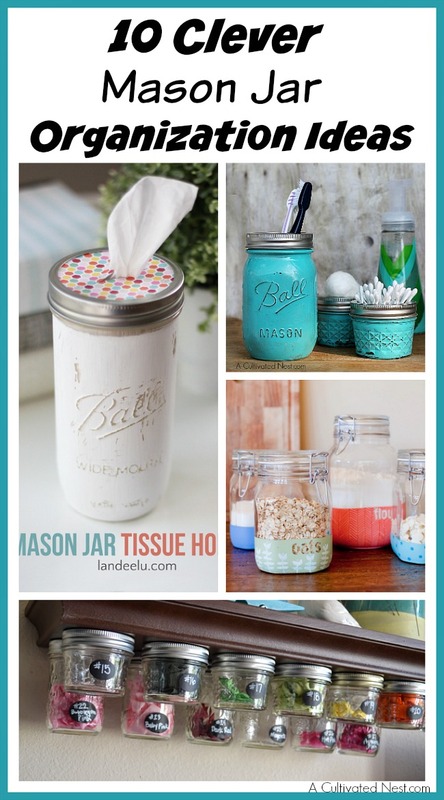 Follow I Heart Organizing’s tutorial to make your own handy Mason jar paint organizers! If you have a lot of twine for crafting, you’ve got to make this adorable organizer! 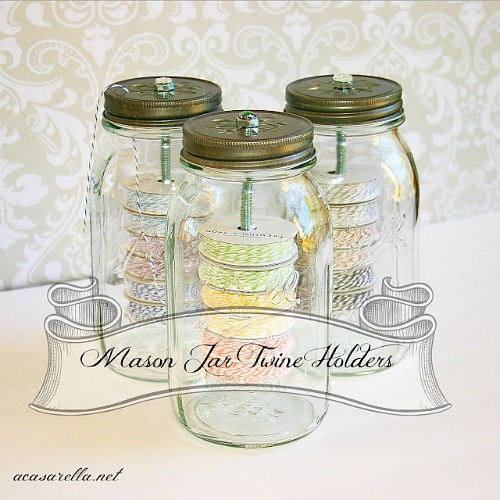 ‘A Casarella explains how to make these wonderful Mason jar twine holders! Mason jars are perfect for organizing any space, including the bathroom! 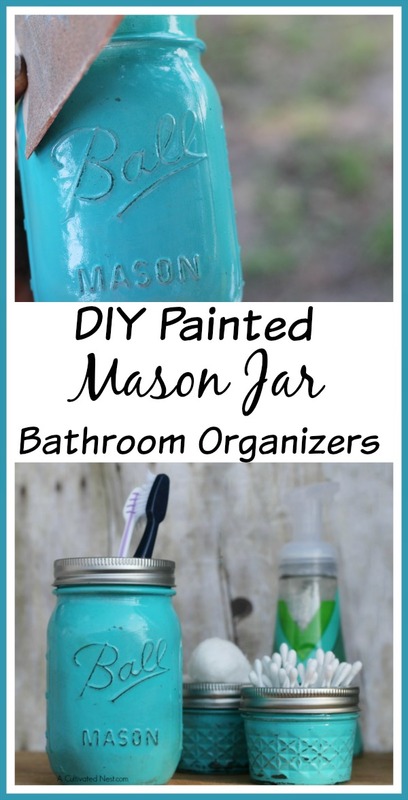 Follow my tutorial to make these pretty painted Mason jar bathroom organizers! 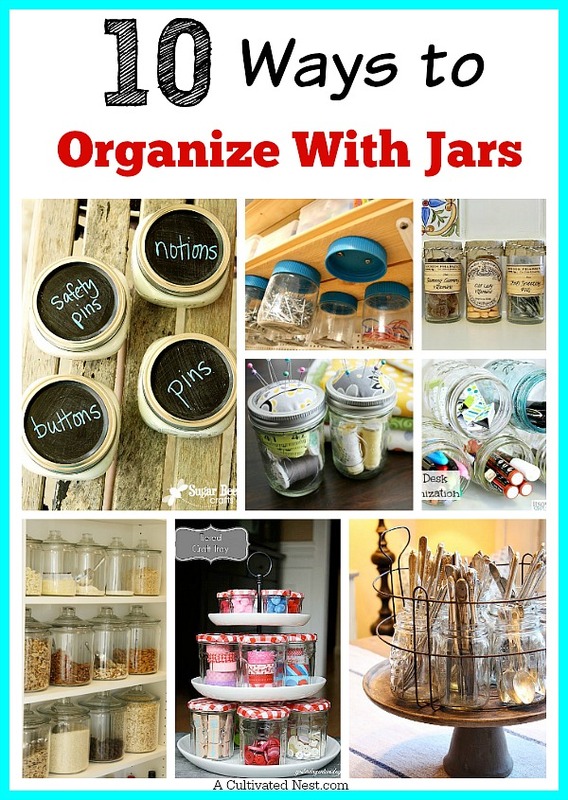 This is a great idea to help you with organizing the food in your pantry or on your counters! 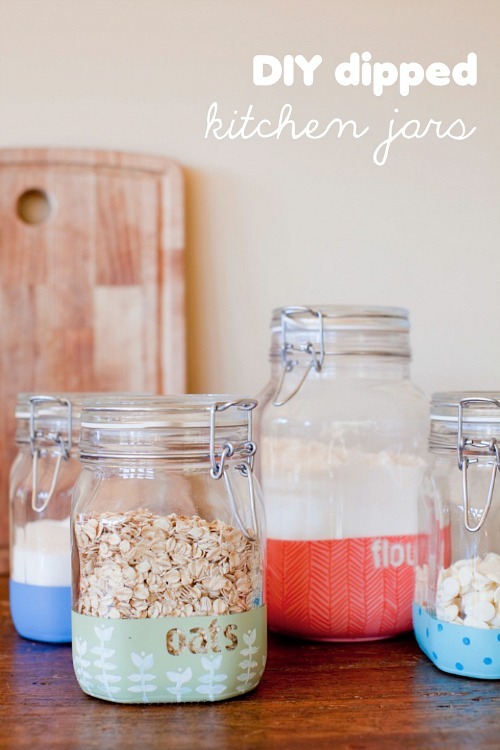 Follow This Little Street’s tutorial to make this DIY dipped Mason jar kitchen food storage! This caddy is a wonderful way to organize your utensils for everyday use, or picnics! 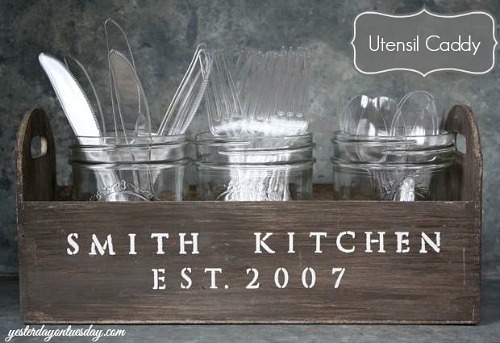 Yesterday on Tuesday explains how to make this helpful Mason jar utensil caddy! You’ll never want to keep your matchsticks in the box when you have this cute holder! 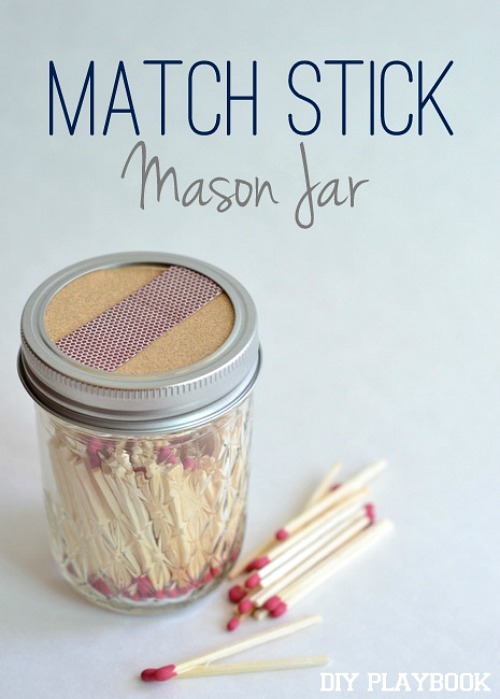 Follow The DIY Playbook’s tutorial to make your own Mason jar matchstick holder! If you’ve run out of space on top of your shelves, you can still organize by using the undersides! Poofy Cheeks shows how to make this adorable Mason jar undershelf storage! Why keep tissues in their box if you can put them in a pretty holder like this? 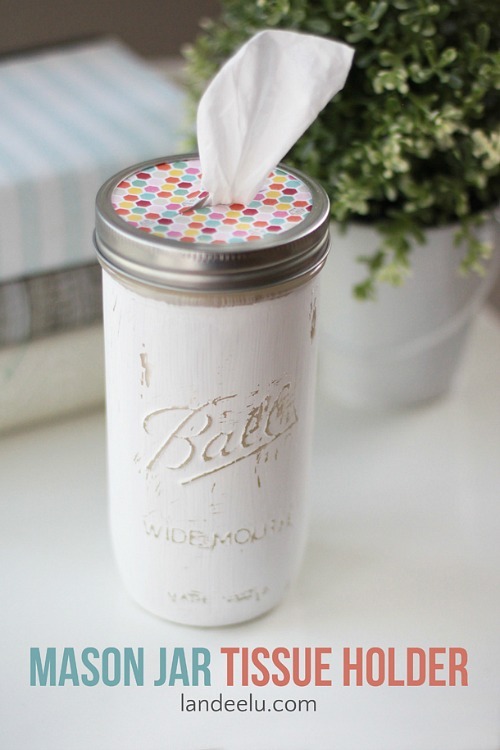 If you want to make a cute Mason jar tissue holder, follow Landeelu’s tutorial! It can be difficult to organize all your little craft supplies. 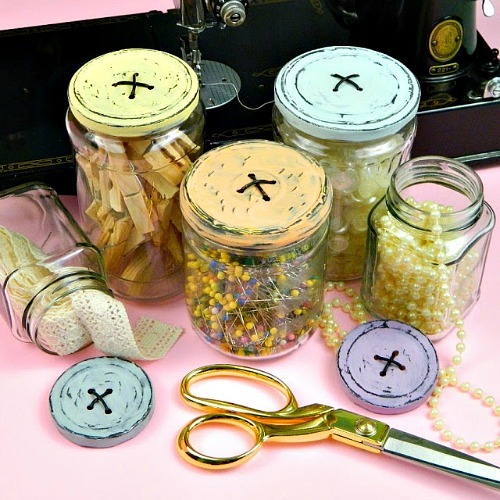 Get them in order with this DIY button Mason jar craft supply storage by Make Your Mark! This is such a clever idea! 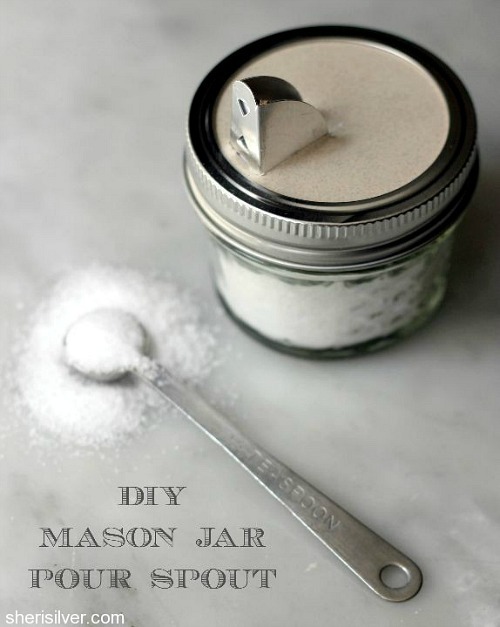 Donuts, Dresses, and Dirt shows how to make your own Mason jar salt holder with a pour spout! 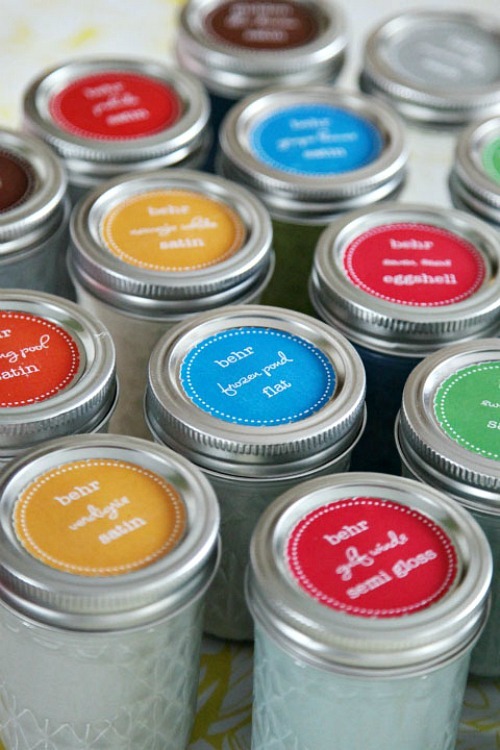 What do you like to store in Mason jars? 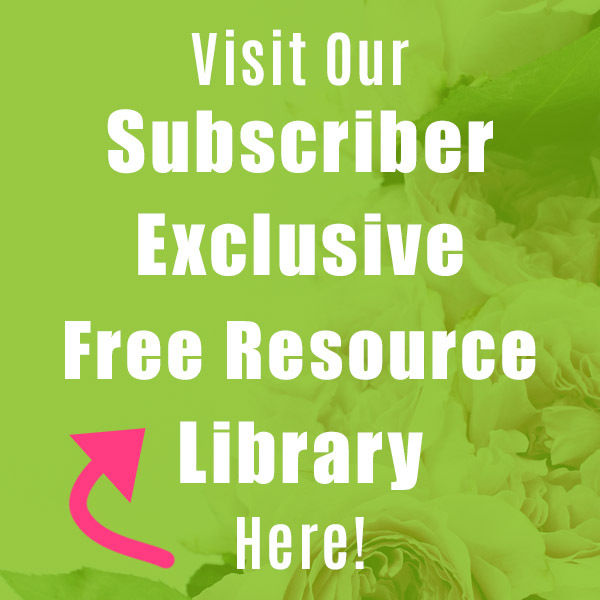 Great tips:) I am really doing a lot to get my supplies organized! Have a blessed weekend dear friend, HUGS! Thank you Theresa! Happy New Year! I love mason jars! Thanks for the ideas, great list.